Sheet goods like particleboard, plywood, and MDF are excellent for a wide variety of projects. They’re the most commonly used materials for cabinets and furniture among hobbyists and professionals. Unfortunately, they also have ugly-looking edges that need to be covered up. Professionals use big machines to apply thin veneer tape to exposed edges, but what can the hobbyist do? In many cases, iron-on edge banding can work. 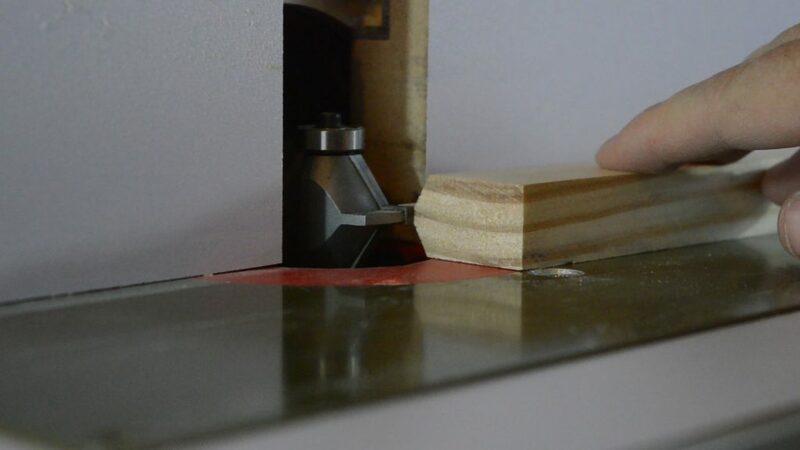 But we have a better, more durable alternative: make your own solid wood banding with edge banding router bits. These router bits produce a tongue-and-groove joint. You simply route a tongue into the solid wood, followed by a groove in your panel stock, and the two pieces fit together. You end up with a longer-lasting edge than you could ever hope to get with veneer tape. 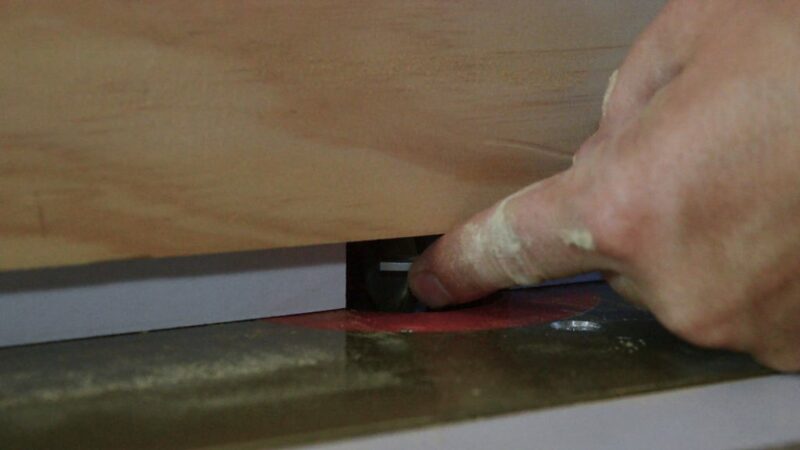 Solid wood edge banding can be mitered around a part, so you can use it for doors, tabletops, shelves, and much more. To make your own wood banding, select solid wood that is at least as thick as your panel stock. If possible, it should be slightly thicker. *Tip: Start with wide material; you can trim it after it’s installed if necessary. 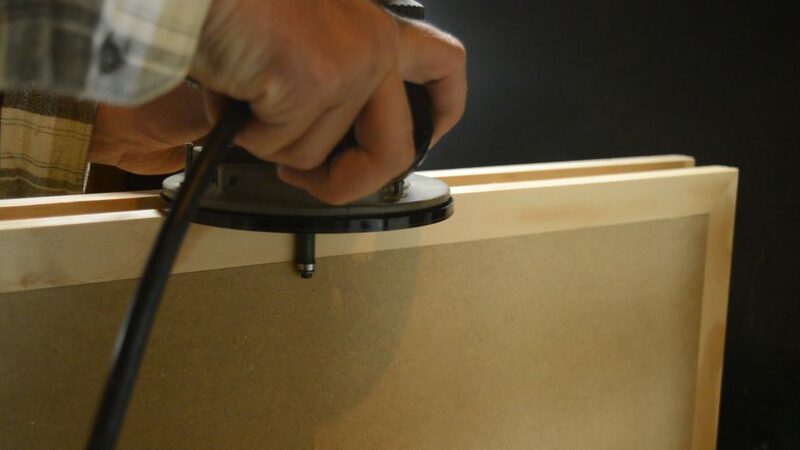 Install the tongue-cutting bit in your router table. And set the height of the bit so that it’s centered in the thickness of your stock. Now pull the fence forward and set it flush with the router bit’s bearing. *Tip: Use a straightedge to help you line up the bearing and fence. If you have a split fence, make the opening as narrow as possible. You don’t want a lot of space around the bit where anything can get stuck or bind. Then install a featherboard to keep the stock against the fence and make a test cut. Center the tenon in the wood’s thickness, and if you’re happy with the results, route your edge banding stock. Remove the tongue-cutting bit and install the groove cutter. *Tip: You should set the height of this bit by placing a piece of the solid wood you just routed on the table and adjusting the bit to match. Next, you’ll need to get the fence properly set. 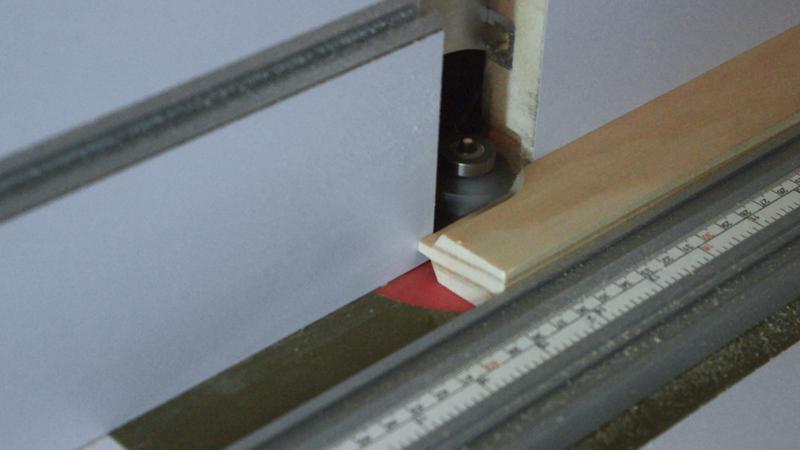 To do that, put a piece of panel stock on the router table and clamp a board to the fence, right on top of the panel. *Tip: This board will act as a hold-down when you’re routing, but it will also help you set the fence. Now, make sure to unplug the router and rotate the bit with your finger so that one of the cutters is 90 degrees to the fence. 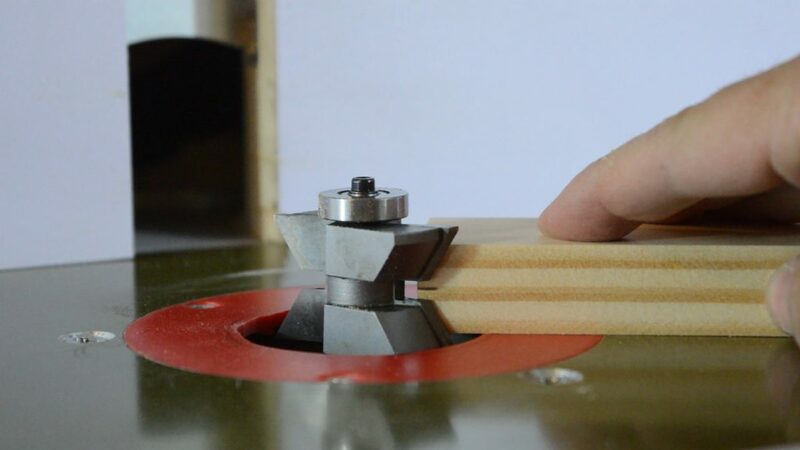 Push the fence toward the bit until the board that’s clamped to it prevents the bit from spinning. Then pull the fence towards you slightly and try to spin the bit with your finger. *Tip: When it just brushes the board but is able to spin freely, the fence is in the right place. After setting the bit height and fence depth, you’re ready to route your panel stock. 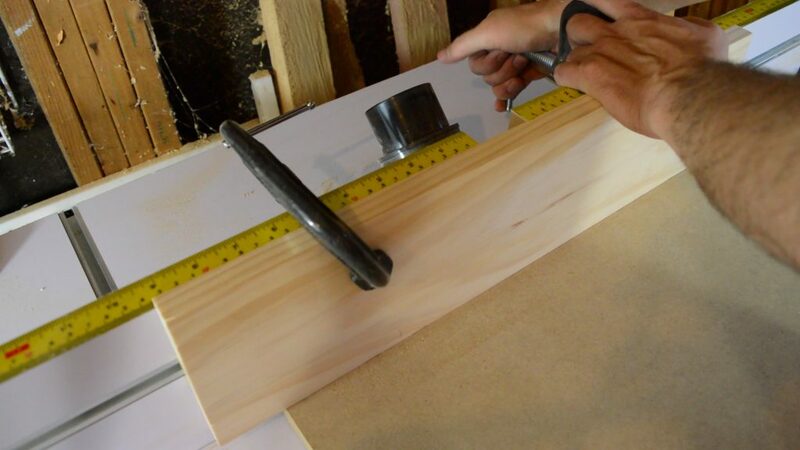 *Tip: The board clamped to the fence will keep your material from raising up off of the table, but you’ll want to feed the material slowly and evenly for a smooth cut. When you’ve finished routing, glue and clamp your edge banding in place. You can miter the banding around your part if you want several edges. Once the glue is dry, trim the banding to final width, if desired. 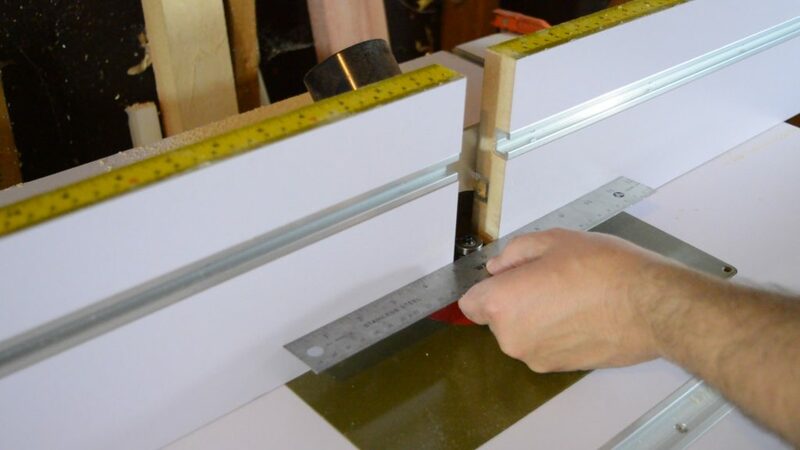 A wide edge might be just what your project calls for. Or flush trim the edge banding if it’s thicker than your panel stock. Finally, you can route a decorative edge into your solid wood edge banding. Then give the panel a light sanding.